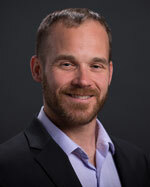 Thomas Hughes is the Executive Director for SMI responsible for the overall operations of the organization, moderation of bi-annual Forums, and oversight of industry initiatives. He brings nearly 40 years of industry experience to the group. Hughes was the Vice President of BD Healthcare Consulting & Services and the founding principal of Concepts in Healthcare. He is recognized for pioneering new approaches for hospital- vendor partnering to reduce the total delivered cost of supplies, and has developed a Quality Assurance Program that utilizes a problem-focused, quantitative management tool that has been implemented into all the functions of materials management. Prior to beginning his consulting career, he had a long and accomplished career on the front lines of hospital administration and materials management at such organizations as Tufts New England Medical Center and Beth Israel Hospital in Boston. 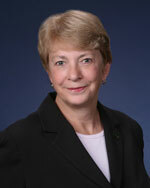 Hughes is a respected industry advisor and academic instructor on hospital and materials management issues. He is a past president of HCMMS, a member of AHRMM, and a recipient of its Leadership Award in 1994. Hughes was recently recognized by Healthcare Purchasing News as being among supply chain management’s most influential people. Barry Blake is SMI's Associate Executive Director, responsible for the planning and management of SMI Forums and SMI Initiatives. A 10-year veteran of the supply chain industry, Barry is a graduate of The College of the Holy Cross and received his master’s degree from Emerson College in Boston. Barry has been published in major trade journals on supply chain topics, and has presented at many industry events and conferences. Barry is committed to the SMI philosophy of shaping the future of the healthcare supply chain, viewing cross functional leadership and collaboration as instrumental to the future of healthcare. Known as a dynamic problem-solver and systems-thinker, Barry is also a lifelong learner focused on understanding the interrelationships inherent in healthcare’s complex problems. Barry will have a variety of duties with SMI, with keen focus on leading the planning and management of SMI Forums and SMI Initiatives, and he will be an active member of the healthcare supply chain community as a representative of SMI. 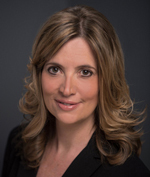 Christine Dean is SMI's Director of Membership and Communications, responsible for membership, communications and technology as well as assisting the Associate Executive Director with the coordination of SMI member-led initiatives. Her role includes project planning, research, database management, reporting, and website projects. She brings over 20 years of marketing communications experience most notably in the technology and healthcare fields. Prior to joining SMI, Christine was Direct Marketing Manager at Infinium where she coordinated a variety of direct marketing programs in the manufacturing / supply chain marketplace. As a marketing consultant, she worked with various technology companies providing project management for both virtual and on-site events including client conferences and sales meetings. Christine has created numerous websites for large, small, profit and non-profit organizations. She most recently served as an independent healthcare consultant, providing PR and marketing services to healthcare organizations, creating databases, conducting patient surveys, designing websites, executing community and educational events and establishing clinical partnerships. 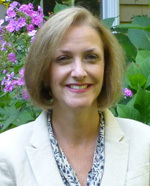 Christine volunteers her time with local organizations and is also a member of the American Health Information Management Association (AHIMA) and AHRMM. Carolyn Huntington is the Membership and Communications Coordinator for SMI, responsible for assisting Directors and Managers with marketing communications, forum management, membership support, member-led initiatives, dues and payments. A former corporate webmaster and analyst, Carolyn brings extensive experience in designing and developing corporate websites, creating and optimizing content, and generating and analyzing key metrics for strategic planning. She will assist the leadership team in establishing a streamlined membership management process, a more robust website and social media strategy for SMI and its members. Prior to joining SMI, Carolyn was Assistant Vice President/Senior Webmaster at State Street Corporation where she oversaw the organization’s multiple web initiatives. Most recently she partnered with global, national and local State Street teams to bring a new online strategy to life for the corporation. Carolyn is known for her innovative thinking, creativity and detail orientation. She brings bring a strong history of project management, analysis, process improvement, customer service and integrated communications to her role at SMI. Pamela Poshefko is Administrative Manager, responsible for the support of ongoing operations including Finance and Budget, membership dues and payments, and back office support. Prior to joining SMI, Poshefko was Senior Consulting Manager at Implementation Management Assistance (IMA), a Philadelphia area full service healthcare consultancy. At IMA, she worked with clients on non-labor expense management; including supply chain management strategic plans, contracting strategies, financial tracking, and comparative benchmarking. Poshefko has served as the Director of Materials Management for the Tufts Medical Center and The Floating Hospital for Children in Boston, MA, and at Brandeis University. She is a member of the Association for Healthcare Resource and Materials Management and Healthcare Financial Management Association.